This question was asked by Guy from York, UK. This is a really interesting question because there are so many possible answers. 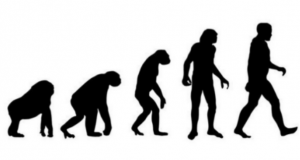 First of all we need to take a look at the evolution of our species. 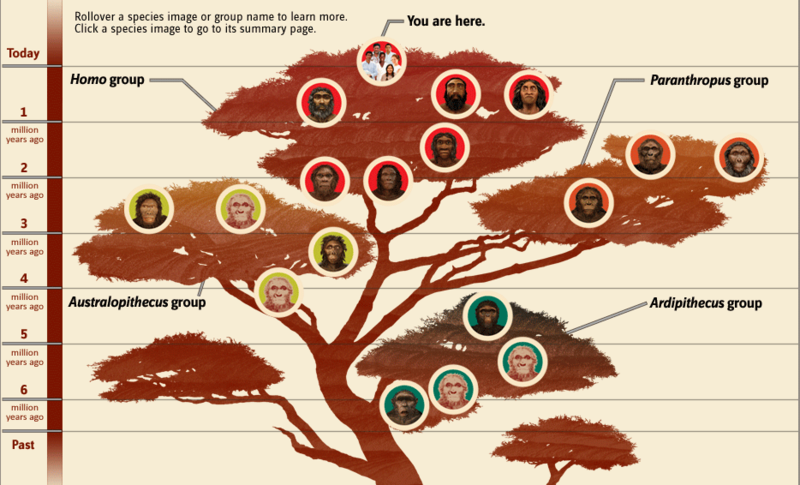 The human family tree. 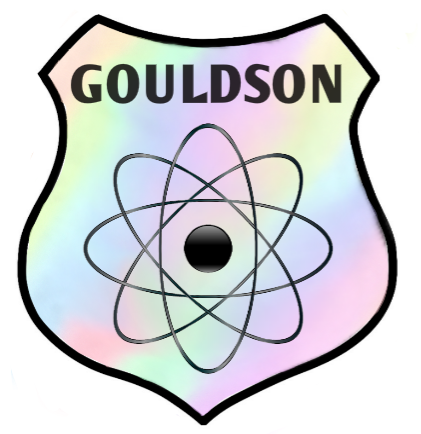 For an interactive version of this image go here. Humans and our ancestors are collectively known as hominins, and there have been many different species. The Ardipithecines, who lived between 6 million and 4 million years ago, were the first of our ancestors to try walking upright. However they also seem to have been habitual tree-dwellers who ate a mainly fruit-based diet. The Australopithecines, who lived between 4 million and 2 million years ago, seem to have spent most of their time walking upright. As well as fruit their diet included seeds and grasses commonly found on open plains, but their brains were only the size of an apes and no evidence has been found that they could make tools. 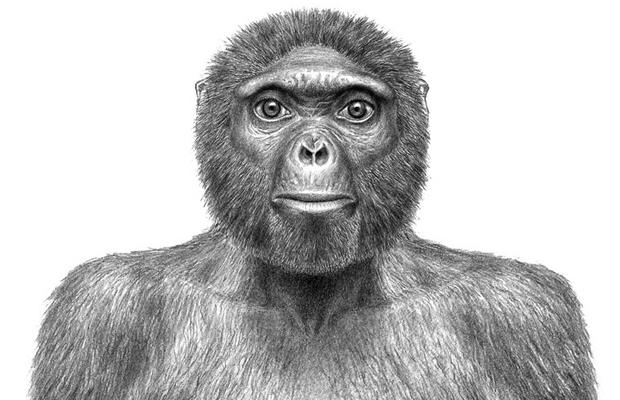 An example of Paranthropus robustus. (Image: Mauricio Anton). The Paranthropus species were similar to the Australopithecines but a bit larger with massive jaws to help them chew tough roots. One species, called Paranthropus boisei ,had molars that were 4 times larger than a human’s! They had slightly larger brains than the Australopithecines but again there’s no evidence that they could make tools. That honour goes to the Homo species, of which there are quite a number. 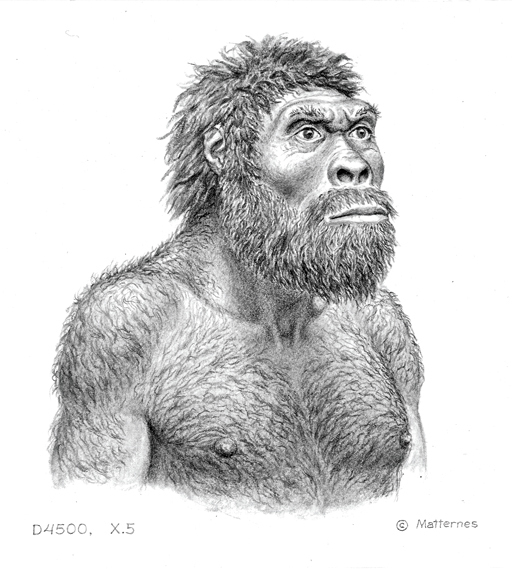 Homo habilis lived between 2.4 and 1.4 million years ago and is thought to have been the first of our ancestors to make stone tools; in fact the name means ‘handy man’. Other Homo species you may have heard of include Homo erectus (between 1.9 million and 143,000 years ago) and Homo neanderthalensis (the neanderthals, who lived between 200,000 and 40,000 years ago). These hominins walked upright, made tools, wore clothes, hunted and even buried their dead. An example of Homo habilis. (Image: EnziMuseum.org). 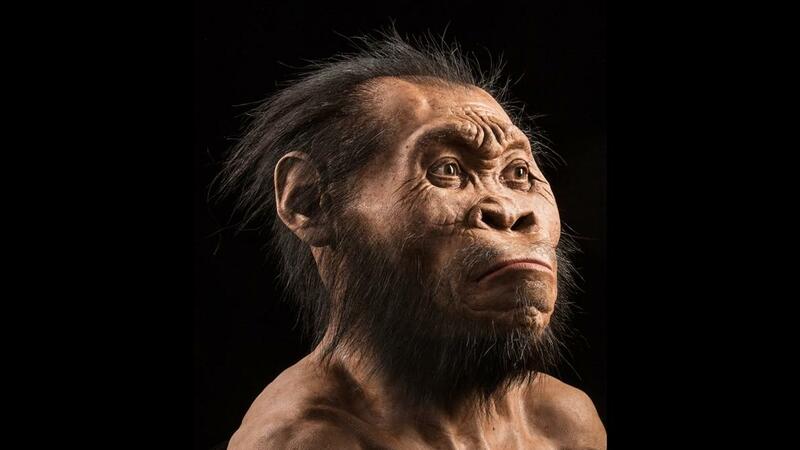 How Homo erectus may have looked. (Image: J.H. Matternes). Our own species, Homo sapiens, emerged around 200,000 years ago. Since that time we have left Africa and colonised the globe as well as developing art, technology, religion and much more. The oldest human population on Earth seems to be the San people of southern Africa; their DNA shows that they are descended from many of our early human ancestors. 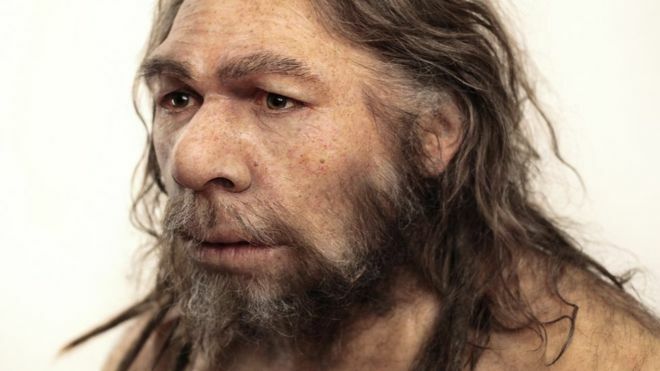 How Homo Neanderthalensis may have looked. (Image: Science Photo Library). I guess the real answer to the question “Who was the first person?” depends on how you define what a person is. Is it a hominin that walks upright? One that can make tools? 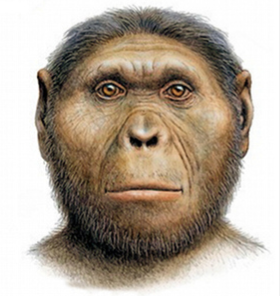 Does a person have to be part of the Homo species? Or maybe only Homo sapiens are people. What do you think? Meet Chilesaurus diegosuarezi – the strangest dinosaur yet? 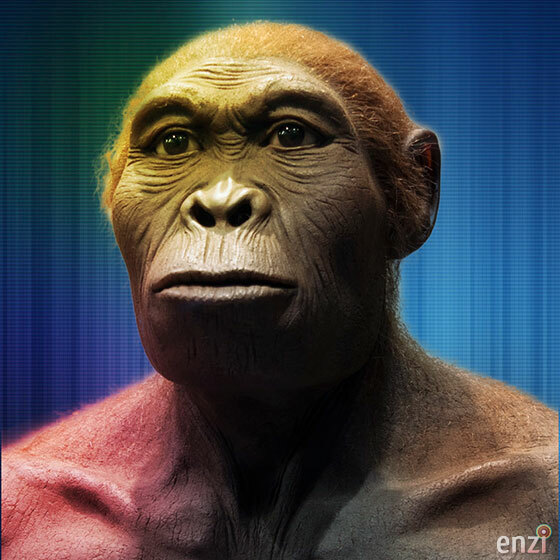 Meet our newest ancient ancestor! Pingback: Science, explained simply | Meet our newest ancient ancestor!